For the fourth consecutive year, Washington DC ranks #1 for most green roofs installed, according to the Annual Green Roof Industry Survey. Seven of the top cities have supportive policies and programs that encourage green roofs. Besides increasing a building’s energy efficiency, they mitigate storm water run-off, improve air quality, moderate the urban heat island effect, and can be used as public spaces. They can also provide pollinator and bird habitat depending on what’s planted. Washington DC offers rebates of $7-$15 per square foot and gives credits that reduce storm water fees. Toronto’s Green Roof by-law of 2009 requires green roofs on most new buildings, resulting in over 2 million square feet of green roofs. 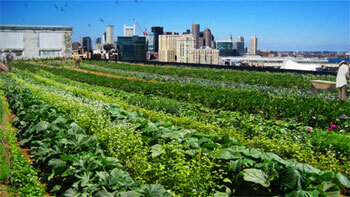 The farm is the result of Boston’s ordinance that allows farmers to create urban farms within city limits. 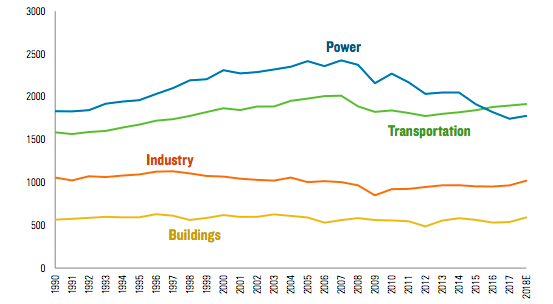 After double-digit growth for the past decade, green roof additions dropped 12% in 2014, mostly because federal incentives ended. Overall, corporate members of GRHC recorded 5,537,240 square feet of green roofs installed on 887 projects in 2014, compared to 6,421,537 square feet installed on 950 projects in 2013. For the first time, the private sector installed more green roof footage than the public sector. On June 1st in Toronto, GRHC hosts Grey to Green: A Conference on Urban Agriculture and Resilience. Its annual conference, CitiesAlive, takes place in Brooklyn, NY, October 5-8. Read our article, Ford Motor’s 10-Acre Green Roof Launched an Industry.